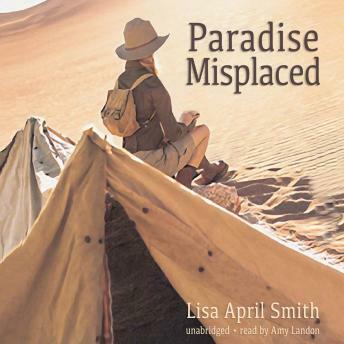 All the twists, suspense, danger, crime, romance, and sizzle that kept readers of Exceeding Expectations turning the pages long into the night are back in Paradise Misplaced, along with Charlie, Jack, and Naomi-three unforgettable characters. In Manhattan, being recently dumped by her soulmate becomes the least of Charlotte (Charlie) Morgan's problems after she is viciously pushed off a subway platform in front of an oncoming train. Her modeling career seems over, and she may not walk again. Throughout her lengthy hospital stay, the police have no success finding her assailant or determining a motive. A handsome detective recovering from similar injuries is assigned to be her physical therapy partner. Concerned that her attacker will try again, he urges her to draw up a list of anyone she might have angered or rejected. Eliminating those who don't fit a compiled description of her attacker leaves just one suspect: a millionaire power broker with a famous art collection. In his quest for his next wealthy wife, lovable lothario/con man Jack is in Buenos Aires romancing women he meets at a fashionable hotel. To finance this precarious existence, Jack exploits foreign tourists and local land barons. Whether he succeeds, falls short, or fails miserably at his quest depends on how entertaining he can be. Understandably bitter Naomi is in Israel working on an archaeological dig while seeking temporary relief from her demons with one-night stands and meaningless affairs. Unwilling to be yet another in a series of her lovers, a roughhewn widowed farmer relentlessly pursues her. On three continents, with thousands of miles separating them, will Charlie, Jack, and Naomi meet? Will their individual stories end in triumph or disaster?